Spring Sing, that have filled the air for the past month, have subsided. Although in its simplistic description it is a 48-year tradition of a musical extravaganza, at its core it is a hallmark of sisterhood and an example of leadership in action. That feeling of sisterhood was clearly felt this weekend as hundreds of OLP girls along with parents, family members, alumnae and future pilots, came to support the OLP girls on stage. explore new opportunities, discover a new passion, or find their voice. For your daughter, it might not be Spring Sing, but maybe it is Orchestra, Engineering, Art, Pilot Press, Athletics, Club Leadership, Equestrian, Ballet Folklorico, Genetics, or any other myriad of activities or classes, where she is inspired to learn! 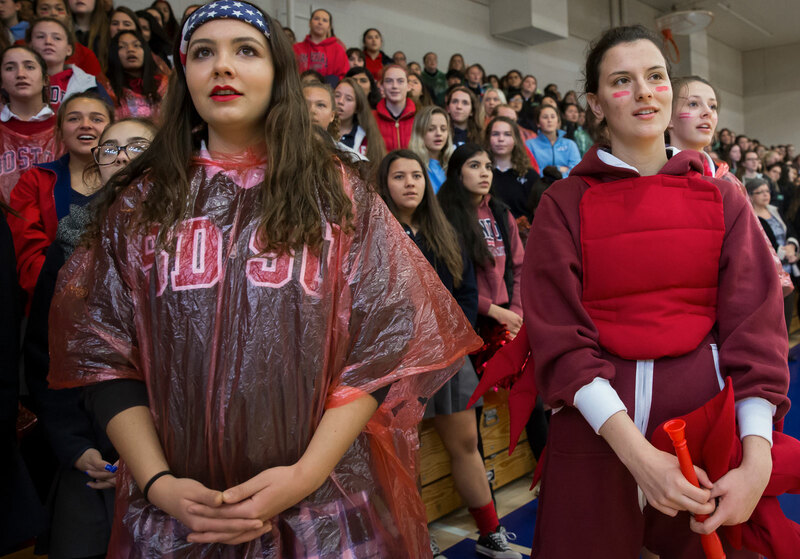 At OLP, together with teachers and coaches, each year your daughter grows and develops from the young girl who walked through those green gates, into a confident woman of faith. She is an exemplary scholar, prepared to face the multifaceted challenges of college and career. In each class, she is learning how to think critically, solve complex problems, and synthesize information. education is a sacrifice. It is an important choice that all of us make as parents to ensure our daughters are provided an exemplary Catholic, CSJ education that helps them become courageous women, ready to change the world. Each and every one of our teachers, staff and members of the Board of Directors carry the importance of that responsibility. We are partners with you in the formation of your daughters. These exceptional girls are our hope for our world! As partners in this journey, the Board of Directors has decided to set a minimal increase in tuition for the 2018-2019 academic year at $19,000 plus a non-refundable registration fee of $475. This $600 tuition increase is our commitment to our families to only raise tuition at the necessary cost of inflation, as we are able to. The Board has strategically focused on fiscal stewardship and creating a strong foundation for our school’s future. The Board also remains committed to providing a strong tuition assistance program for students who qualify. The re-enrollment process will again be done electronically online through SchoolAdmin. The first week of March, all families will be emailed information from School Admin regarding the online enrollment portal. School Admin online enrollment will integrate with your OLP FACTS account. In addition, it has a central site for completing and submitting required forms for enrollment such as Contact Information Form, Emergency Contact Form, etc. Should you have any specific questions regarding tuition, please contact the Finance Office. We are grateful to all of you who support our mission through your gifts of time, talent and treasure that go beyond the cost of education itself. The choice you have made to invest in preparing your daughter at the Academy of Our Lady of Peace for achievement in college, success and happiness in life, and women rooted in their faith, is one that we honor in the work we do each day. Our dedication to your daughter is our mission and our ministry.